The Stanfort , we are very proud to say we are the best consultants in Jagraon. We provide specific information on institutions and courses. Singapore is a world leader and is now a premier education hub. The education is available at affordable costs. It has high ranked universities offering quality life and diverse student community. This convinces why study in Singapore. 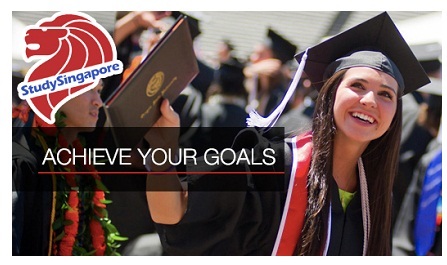 To study in Singapore, there is a need to have an acceptance letter from the institute of Singapore. Our Singapore student visa consultants in Jagraon will provide the checklist and help our clients, students in preparing for visa interviews and also make the requirements to study in Singapore easy. English tests score is also a must. Living costs are generally low as the study in Singapore cost. Accommodation takes the most. You can live comfortably and enjoy the good things in life. You can check for the hostel accommodation that may work to be cheap. Yet, be prepared with enough money to manage your personal expenses. Singaporean universities collaborate regularly with leading universities. Singapore has 6 national universities. There are top ranking universities offering graduate, post graduate and PhD courses in various areas relating to science, media, medicine, statistics and modern language. Our Singapore Consultants in Jagraon can help you in selecting the right courses. Singapore has an array of colleges in Singapore, private institutions in association with foreign universities such as the Chicago Business School. There are more than 34 universities and six are national and two of them were in the world university rankings. The Nanyang University and National University were on the top list. International students are permitted to work for 16 hours a week as a part time and during holidays they can work as full time. There is Employment Pass Eligibility Certificate allowing you to stay for 12 months more in Singapore and to search jobs. Copyright @ 2018 - THE STANFORT.